Some fish spend their lives in both fresh water and salt water. Fish (like salmon) that hatch in fresh water and migrate to live the majority of their lives in the ocean before returning to fresh water to spawn are called “Anadromous”. Anadromous fish lead an interesting life as you can imagine and their lives take place in a variety of different environments that include streams, estuaries and the Ocean. Life begins with the hatching of the salmon egg. The female salmon lays anywhere from 500 to 1200 eggs which are deposited in a nest and fertilized. Of the 500 to 1200 eggs only about 20% will survive to become fry. The eggs hatch in late winter and the salmon fry begin to feed. Different species will spend different amounts of time in fresh water before finally migrating to the Ocean. Sockeye, for instance, spend the longest period of time in fresh water remaining from one to three years, while on the other end of the scale Chum and Pink Salmon migrate almost immediately downstream in their trek to the ocean. The place where salt water and fresh water mix is called an estuary and it is there that the process of “smoltification” begins as the fry adapt to their new environment. 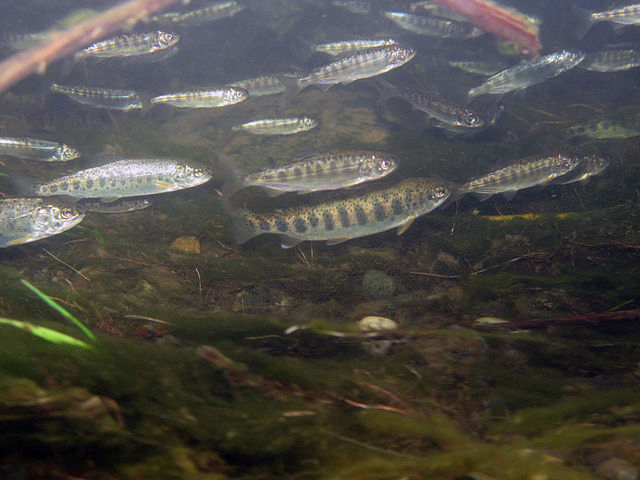 During the process of “smoltification” the young salmon are especially vulnerable and must rely on the shelter of the near shore waters while they adapt to the salt water. Upon leaving the Estuary juvenile salmon migrate along near shore coastal waters and eventually into the open ocean. Depending on the specific species their stay in the open water may last from under a year to nearly five, but most follow the Puget Sound and head north. 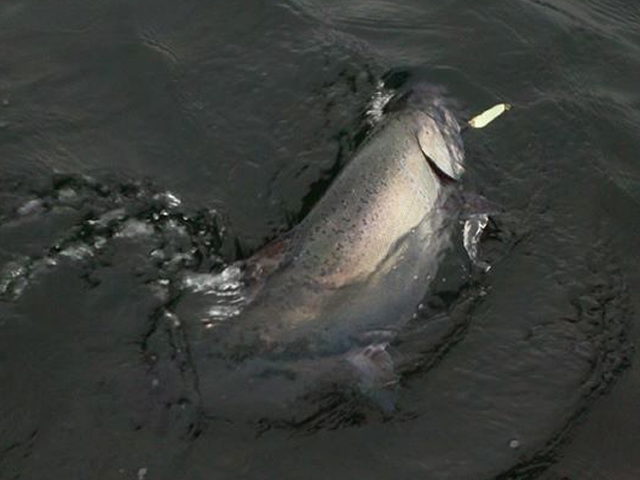 One of the greatest local concentrations of these migrating salmon occur in the Admiralty Inlet between Whidby Island and the Kitsap Peninsula. Having lived out their ocean going life the salmon will return to their home streams, lakes and rivers to spawn and begin the cycle anew. How the salmon remember the way to their specific birthplace remains a mystery, rendering it one of nature’s true marvels. Once entering the fresh water the salmon will cease to eat, which is why the meat of the salmon is so rich and enjoyable, the fish must retain a large amount of fat in order to fuel their trip home which can include traveling against the flow of their native rivers and streams. At this point the fish take on their spawning colors, often typified by beautiful reds, golds and greens with many sporting hooked jaws and snouts. Having spawned, most of the salmon species die and their spent carcasses provide sustenance to a variety of wildlife including eagles, bears and otters. While this is a relatively quick summary of the complex lifecycle of the Puget Sound Salmon it does a pretty good job of demonstrating the milestones. 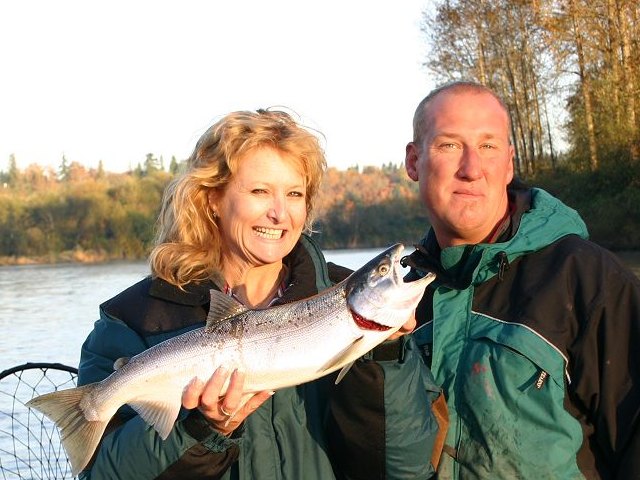 All Star Fishing Charter Captains have made a lifelong study of the details of the different salmon species and their specific migratory characteristics. It is this close attention to detail and the subsequent ability to draw on that information that is the hallmark of All Star Fishing Charters. 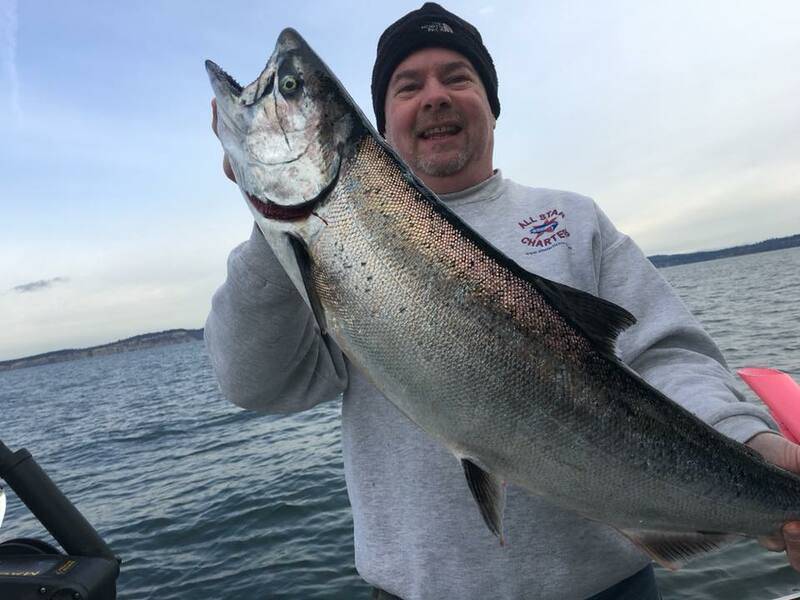 When you can let the sum total of experience of Puget Sound’s best Fishing guides tip the scales in your favor, you can bet that you are in for the finest day of fishing that Puget Sound has to offer.